Renji Panicker is an Indian journalist, script writer, producer, actor, and director best known for his Malayalam films. He made his debut as a director with Bharatchandran IPS in 2005. A firebrand script-writer and director of Malayalam cinema, Renji Panicker, popularly known as Renji began his career as a journalist. After completing his master's degree in journalism from Kerala University, Renji started off as a reporter for several magazines and publications. It was during an interview, while working for Chithrabhumi, a film magazine, that he met director Shaji Kailas, which led him into the world of cinema and within a short time became one of the most guaranteed scriptwriters of Malayalam cinema. Renji scripted several commercially successful films for Shaji Kailas, including Dr. Pasupathy (1990), Thalastaanam (1992), Sthalathe Pradhana Payyans (1993), Ekalavyan (1993), Mafia (1993), Commissioner (1994), and The King (1995). It was the Renji Panicker-Shaji Kailas team that turned actor Suresh Gopi into a bankable lead actor during the early-1990s. He's also popular for his collaboration with director Joshiy, which includes the films Lelam (1997) and Pathram (1999). He later switched over as a film director and has directed two films. He is also one of the managing director of the Malayalam newspaper Metrovaartha. Renji has acted in several cameo roles for his own films. However, he gained popularity as an actor for his full-length role in the film Ohm Shanthi Oshaana (2014). He has gone on to act in numerous films, with notable roles in Njaan (2014), Premam (2015), Jacobinte Swargarajyam (2016), Thoppil Joppan (2016), Alamara (2017) and Godha (2017). He is born as youngest son among three children to Kesava Panicker and Leelamani Amma at Nedumudi, Alleppey. He did his bachelors in commerce from Sanatana Dharma College, Alappuzha (S.D college, Alappuzha) and certificate in Journalism from Press Club, Thiruvananthapuram. He pursued post graduation in Journalism from Kerala University, Karyavattom. Renji Panicker is married to Anitha Mariam Thomas, who was his classmate at Kerala University who studied psychology. They have twin sons, Nithin Renji Panicker and Nikhil Renji Panicker, and lived in Alleppey before shifting to Cochin. While interviewing director Shaji Kailas, for a film magazine in 1990, he was impressed by Renji's language and asked him to do a script for him. Renji, who was an active politician since his college days tried out a political satire, Dr. Pasupathy,which turned out to be a super hit. But the success of his debut film failed to bring any recognition to Renji Panicker, whose next venture Akashakottayile Sulthan, in 1991, directed by Jayaraj, with Sreenivasan in the main role, bombed at the box-office. This made Renji to rethink on continuing film as a career. But again, upon the insistence of Shaji Kailas, Renji made another attempt in 1992. Thalastaanam, revolving around campus politics was a phenomenal hit and the huge success marked the beginning of Shaji-Renji combination, which brought out many blockbuster films in the later years. In the year 1993, Renji penned Sthalathe Pradhana Payyans. Directed by Shaji Kailas, this film was a turning point in the life of Jagadish, who was till then tagged into comic roles. Jagadish played the role of a common man who overnight becomes the home minister of the state. Sthalathe Pradhana Payyans completed 150 days in theatres, establishing Renji Panicker as one of the leading script writers in Malayalam cinema. The success of Sthalathe Pradhana Payyans was followed by Ekalavyan, which got released in the month of May in 1993. Directed again by Shaji Kailas, Ekalavyan was an action thriller revolving around the unholy nexus of drug mafia-godmen and politicians. Appearing in the lead role of a police officer, Suresh Gopi succeeded in establishing himself as the next super star of Malayalam cinema.Ekalavyan successfully completed 150 days in almost all the theatres it got released. This police saga was followed by Mafia, revolving around Bangalore underworld. Directed by Shaji Kailas with Suresh Gopi as hero, released in 1993, Mafia turned out to be another super hit and made Renji the most expensive script-writer in the malyalam film industry. In 1994, Shaji Kailas and Renji Panicker created a sensation at box office with Commissioner, an out and out police film, which completed a run of 200 days in theatres. Suresh Gopi appearing in the title role, the film turned out to be the biggest grosser of the year. Again Shaji and Renji joined together in 1995, but this time, they had Mammootty as the hero. The King, which was released in the end of 1995, broke several records in collections. After the huge success of The King, the duo intentionally parted ways and decided to go alone. Renji, after a long time wrote a script for another director, when he chose Joshi in 1997. Lelam, another action thriller with Suresh Gopi as the main hero was again super hit at box office adding new feather to Renji's cap. The same team brought out Pathram in next year. Revolving around print media and the politics surrounding it, this flick is best remembered for its stunning and sparkling dialogues. The continuous run of super hits came to an end in 2001. Renji's combination with Joshi, Dubai bombed at box office. This was followed by Praja another fiasco, though for the first time Mohanlal appeared in a Renji film. The back to back set backs forced Renji to take a break for three years. In 2005, he hit-back with Bharatchandran IPS the sequel of Commissioner, released in 1994. Bharatchandran IPS was also the directorial debut of Renji Panicker. Apart from directing, he also co-produced this film. This film crossed 100-day run in all major centres and gave a rebirth to Suresh Gopi who was going through the dark days of his career. Renji's second directorial attempt was Roudram released in 2008, with Mammootty in the main role, Another police story, this film was also a huge success at box office. Renji's next project was The King & the Commissioner in which Mammootty and Suresh Gopi played the lead roles, Joseph Alex I.A.S. and Bharathchandran I.P.S., taken from the films The King and Commissioner. It was directed by Shaji Kailas. This film had many expectations, as Mammootty and Suresh Gopi were reuniting after many years as well as Shaji Kailas and Renji Panicker. Unfortunately, it got negative reviews from the critics and became a box office disaster. In Panicker's films, valorised heroes have a political viewpoint and is opinionated, they rebuke corrupt higher officials, hegemonic structures and societal perversions. Dialogues are presented for making an impact, it is often done with lengthy and spirited ones to carry the character through the plot conterminously. Panicker uses stuffy English words to deliver the impact with emphasis for his dialogues. Except Dr. Pasupathi and Aakasha Kottayile Sultan all of his films is done in a political backdrop. Political problems and events were always added and magnified in his scripts, which evoked controversies and threats to his life. Panicker's dialogue in Lelam presented by MG Soman based on a real-life character and jingoistic ones from Commissioner are considered timeless for mollywood industry. 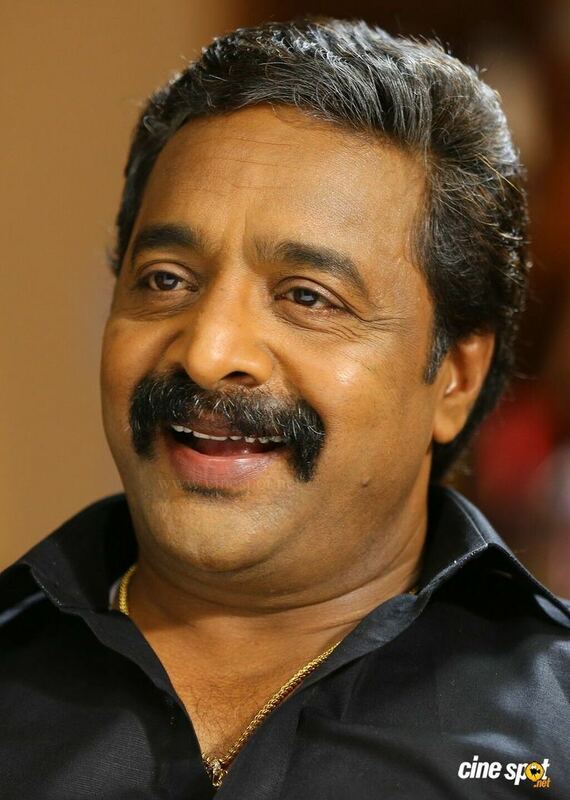 Renji Panicker is regarded as one of the best mollywood transgressive firebrand script writers. Lately due to personal blocks to identify character's with new age actors he retired temporarily from writing scripts and with experience of golden decades in the industry turned into full-time acting to produce dynamic characters.